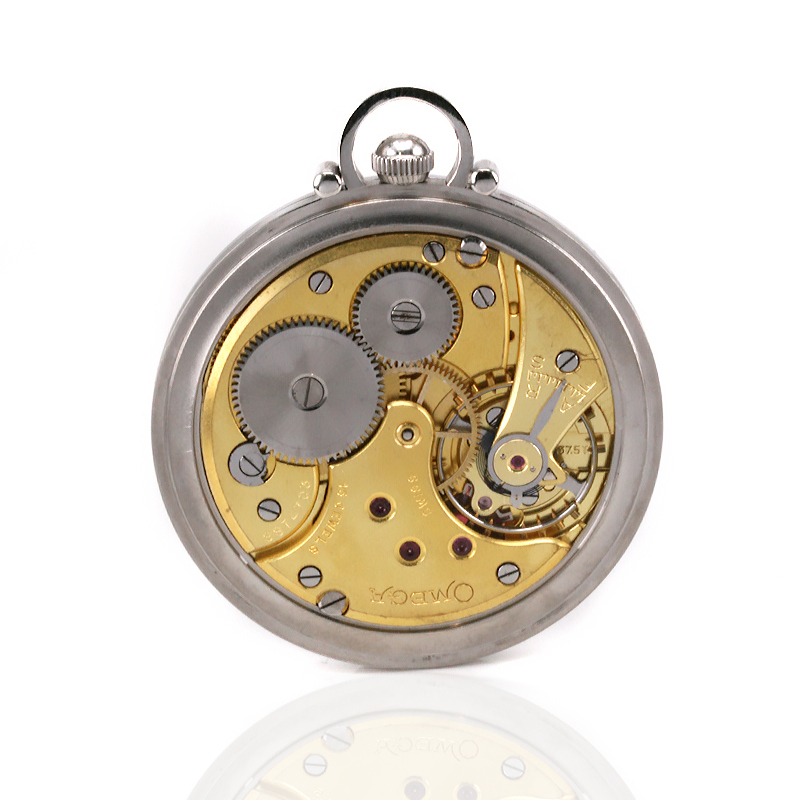 Product code: T505 Categories: Sold Items, Sold Omega Watches, Sold Pocket watches. Here is a very attractive and stylish vintage Omega pocket watch from 1939 that has the charm and character of the late Art Deco period and the pedigree and history of Omega. Made in a stainless steel case that measures 45mm across by 53.5mm to the top of the bow, this pocket watch feels so good to hold in the palm of your hand and has a great looking dial with the combination of Roman numerals and the sub-seconds at the bottom. The dial is all completely original and has not been repainted at all and matches so well the with original silver hands. Even the bow has that great Art Deco style to it making it even more unique and special and the inside is the fantastic manual wind Omega calibre 37.5ST that has been completely serviced, runs perfect and comes with our twelve month warranty. Vintage Omega’s are always so popular, and it doesn’t get any better than a vintage Omega pocket watch to hold and admire in your hand.